The family business behind one of Australia’s top selling exported wine brands, Yellow Tail, is establishing UK branch to market its wine across Europe. Casella Family Brands is a wine company based at Yenda in the NSW Riverina. 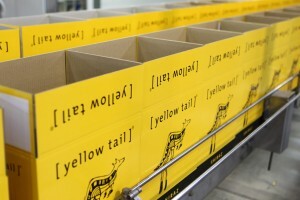 It had been using Percy Fox & Co as its UK distributor of its popular Yellow Tail wine. However, Casella will take over its own distribution from 1 May 2016. Casella says it has a two-part expansion plan with Phase One focusing on ensuring it can sell Yellow Tail wine to customers in Great Britain. The second phase will involve introducing Casella Family Brands across Europe. Apart from Yellow Tail, Casella’s wine brands include Peter Lehmann, Brand’s Laira, Casella and Young Brute. The General Manager for Casella Family Brands Europe, Simon Lawson, said the UK has already delivered solid growth for Yellow Tail. “Yellow Tail wine currently the 3rd biggest Australian wine brand and the fastest growing top 20 wine brand,” Lawson said. “Our vision is to leverage this position of strength and continue to drive growth within our portfolio for the benefit of our customers, suppliers and employees,” Lawson stated. Casella Family Brands Europe will be headquartered in Cambridgeshire in England. Its Peter Lehmann wines are already distributed throughout Great Britain and Northern Ireland by UK wine company, Liberty Wines. This distribution partnership will still continue. Managing Director Casella Family Brands, John Casella, said he believes now is the right time to set up a European subsidiary. “My vision is for Casella Family Brands Europe to be an entrepreneurial business that will work closely with like-minded partners to build a portfolio of brands that bring joy to consumers, value to the category and create new and exciting opportunities for us all,” Casella said.